Most of us don’t have room to buy every single kind of baby product out there, so it is necessary to find baby products for your baby that’ll do double duty and last a long time. 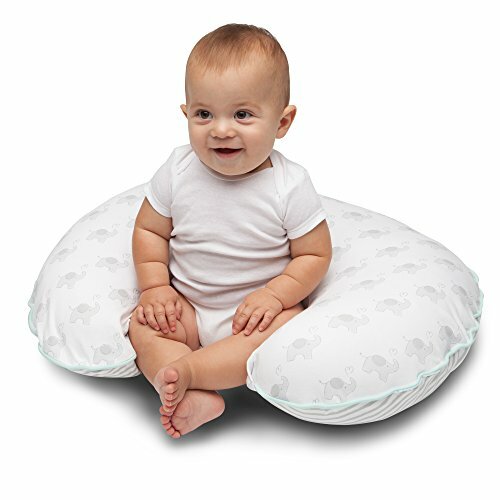 One product that serves many different functions is the Boppy Pillow. 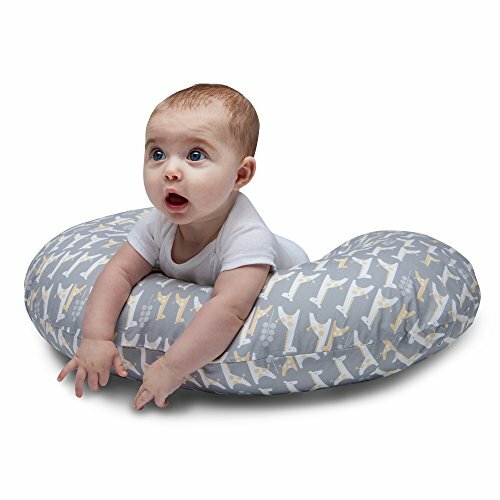 These pillows can last and work for your baby until she or he learns to crawl or walk. 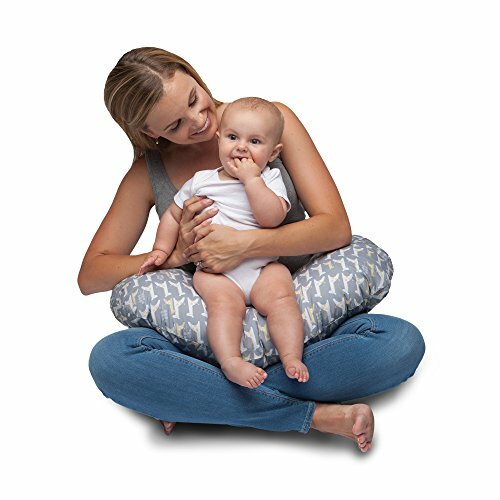 The Boppy Pillows make the best gifts for any mom-to-be who may be pregnant and expecting as a gift or as a baby shower gift idea, and can even help her baby develop the muscles to hold up the head. 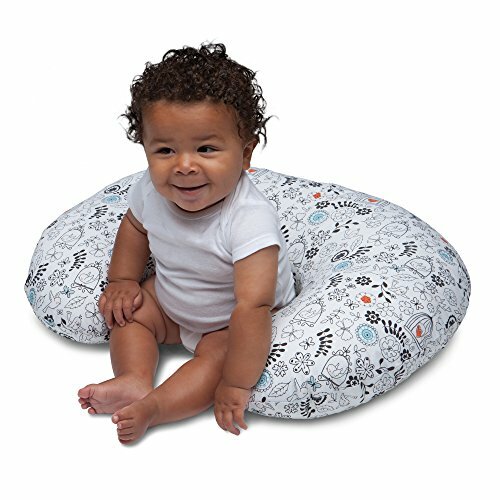 The Boppy Pillows additionally help with sitting, and are useful from day one, right out of the box. Feeding and burping get so much easier with a Boppy Pillow, too. 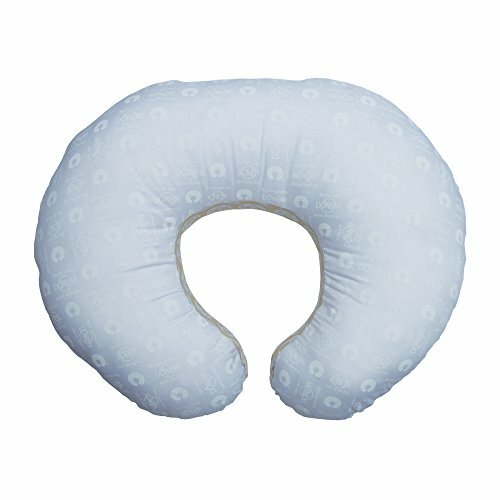 I had one of these Boppy Pillows through each of my three children. Whenever I get the chance, the first thing I recommend to new parents as an indespensible product to own for their baby is the Boppy Pillow. This baby product is a work of sheer genius. It’s half-moon shape is perfect for wrapping around your waist to easily lay your baby across your mid-section and position a baby bottle with baby laying on his or her back. It helps when you want to relax with your baby and sit down on a couch or chair and hang out with baby. It also helps ease from exhaustion when holding a baby. In fact, it saved me from those times that, if I had to hold her in my arms the entire time, I surely wouldn’t have made it. It is like a perfectly shaped lap pillow just for baby. If I could sing the Boppy Pillow’s praises from the mountain tops I would. This is THE product to get an expectant mom-to-be and dad will absolutely love it too. I know I did! 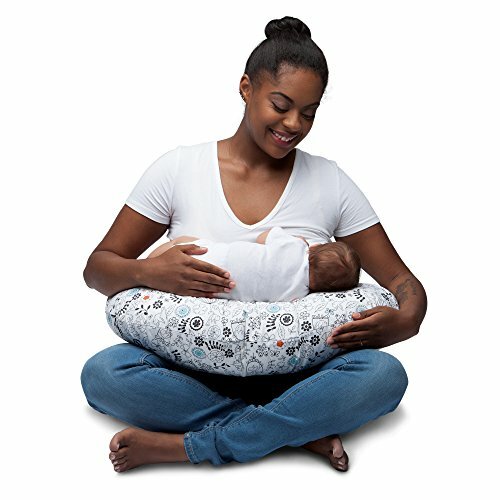 Now I am not exaggerating here, but the Boppy Pillow literally saved me so many times during late night bottle feedings when my wife would get up to pump and my first born daughter refused to breastfeed that it saved my life. It allowed me to rest easy knowing my daughter was protected on the pillow and I from the worry that I might possibly drop her due to being exhausted. It made times while watching TV or or lounging around better too. My kids could rest in my lap and I could talk with them, play with them and coo with them. An important purpose of a Boppy Pillow is that it helps with feeding. 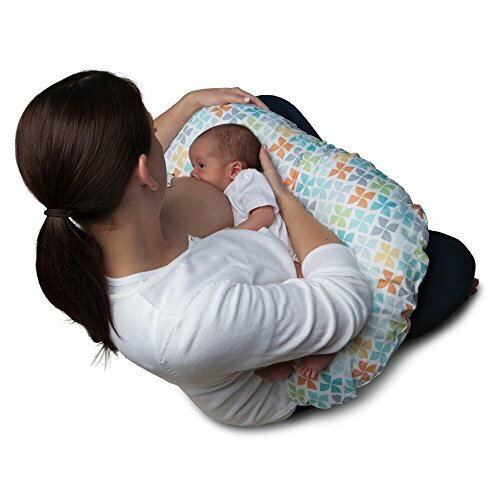 Babies who are bottle fed and babies who are breast fed can both use the this kind of feeding pillow. It helps both mom and dad get comfy with their baby, and places her or him in the best position for feeding. 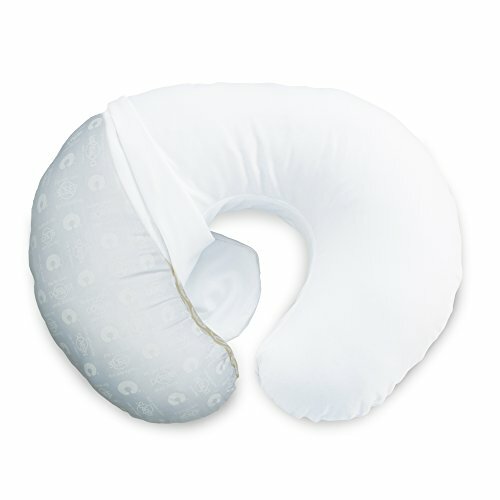 The curved design of the Boppy Pillow enables you to slip it around your hips. Then, simply rest your child on top to feed comfortably. There is no reason to lean forward if breast feeding, lowering the strain on mom’s back. 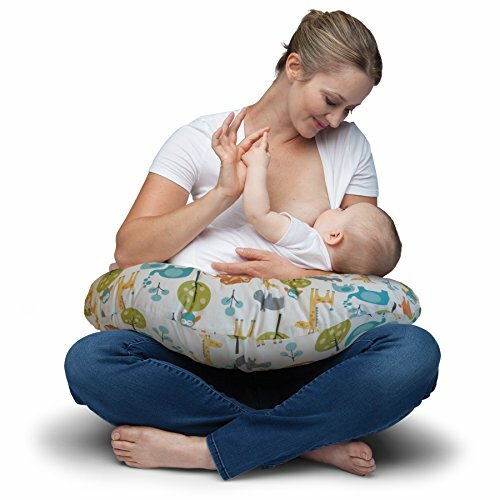 Feeding your baby with the help of a Boppy Pillow allows you to do so in a comfy, stress-free environment. It is always a good idea to prop your baby up after feeding. This reduces acid reflux and eases with relieving gas in the belly when you gently burp your baby while on your lap. 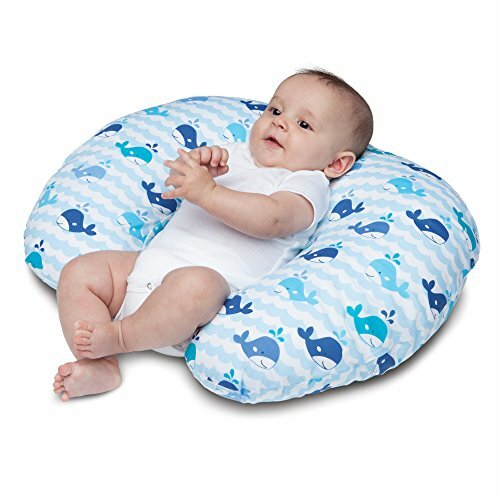 A Boppy Pillow is ideal for this, because it’s curved form makes an excellent place for your baby to rest. 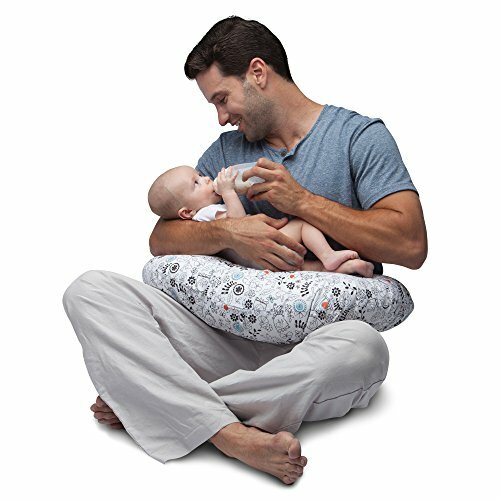 Simply put your baby inside the pillow, head resting up, and your baby will easily and comfortably digest his or her meal. 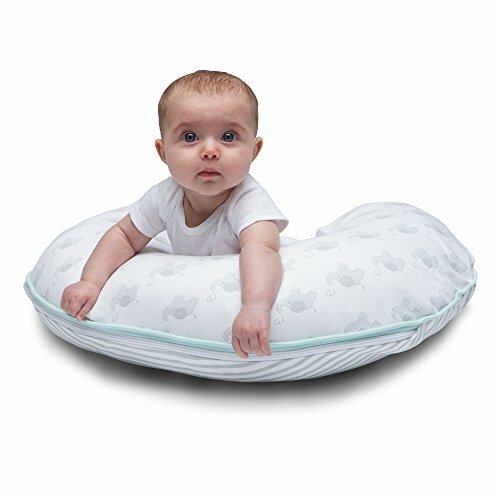 Since the whole pillow surrounds your baby, you don’t have to worry about her or him falling or rolling off of the pillow. However, it is recommended that you do not leave your baby unattended at any time until they are able to hold themselves up and move about on their own to prevent any sort of issue with posture or anything like that. Another important time for very young babies is tummy time. Your baby should spend a minimum of a half hour a day on his or her belly. 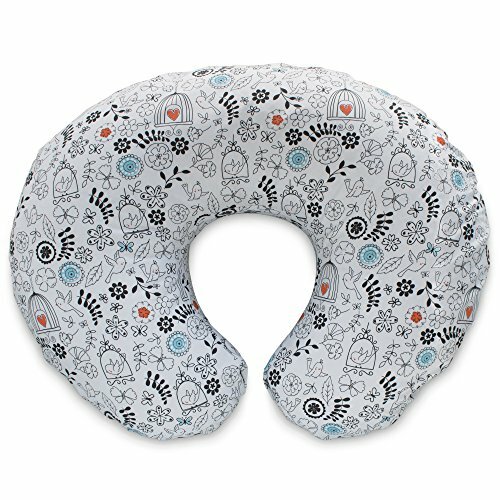 The Boppy Pillow is a good place for this, since it props your baby up and helps develop neck muscles, encouraging your baby to hold his or her head up. 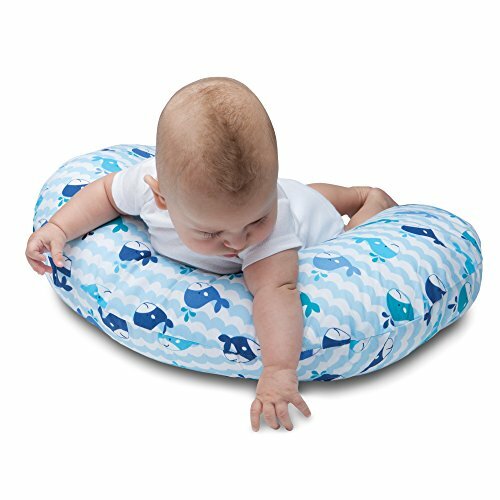 The Boppy Pillow can even help strengthen muscles in the neck and back, prevent a flat head, and improve your child’s coordination. After your baby is just a few months old, you can use your pillow to help a baby learn to sit. The Boppy Pillow surrounds your baby, allowing you to make sure a wobbly baby will not fall over. 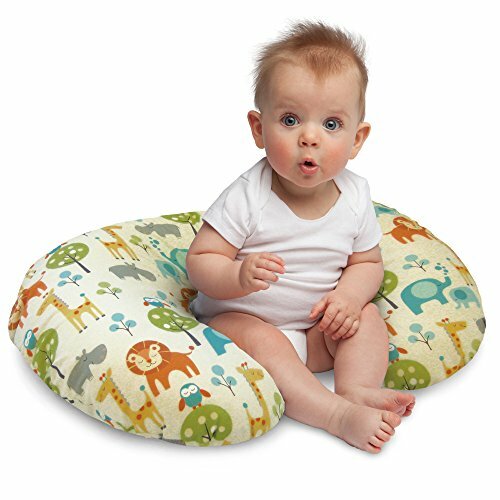 This pillow is a safe, comfy place for any baby to learn to sit, and it helps develop and strengthen the muscles that are needed for sitting. 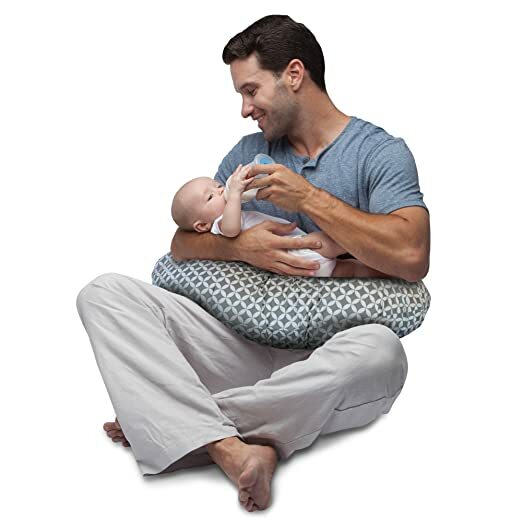 It provides some support to help with development, however there is no need to depend on the pillow – your baby should eventually learn to sit on his or her own. The Boppy Pillow, however can help speed up that development period with some posture assistance. 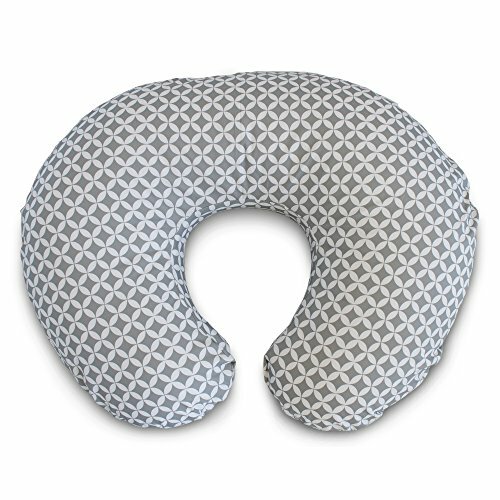 Boppy Pillows come in a number of different colors, so expectant moms can choose the one which fits their personal style. They may also be covered with an interchangeable slipcover. There are numerous different designs and shades. A slipcover allows your pillow to stay clean – just wash the slipcover if your baby spits up after feeding or has a blowout while resting on your lap (fingers crossed that never happens). You possibly can even keep a single Boppy Pillow for use with any future kids mom and dad may decide to have together or share it with others in the family. It is a long lasting pillow of great longevity in its product life cycle. Change the slipcover as often as you need, and purchase a new one for re-gifting to new parents. As soon as you do not need your old Boppy Pillow anymore, you’ll be able to pass it on to another person who can use it. They and their baby will experience its advantages, and enjoy covering it in their own fashionable and stylish slipcovers that fits their tastes. 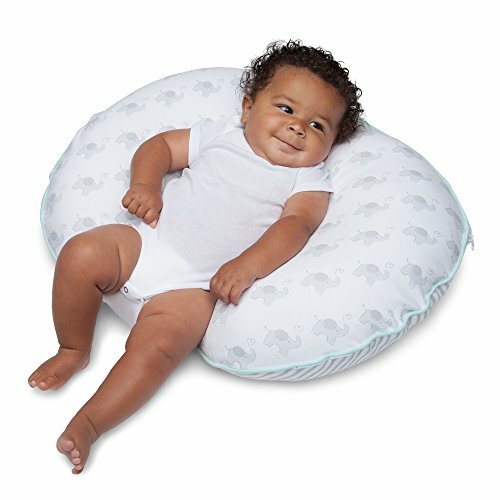 For those of you who’re on the lookout for a baby product that does it all, think about using a Boppy Pillow. Trust me when I say that I highly recommend owning the Boppy Pillow. It is something I owned and something that to this day I swear up and down is the best purchase I ever made as a baby product for my three kids. It is truly an indispensable baby product to own, hands down! Do you own or have you ever owned a Boppy Pillow? What what your experience like? Do you speak its praises like I do? Please share, we’d love to know, here at Baby Cures. We actually use a theme with some custom CSS built into it. Thanks for the comment.